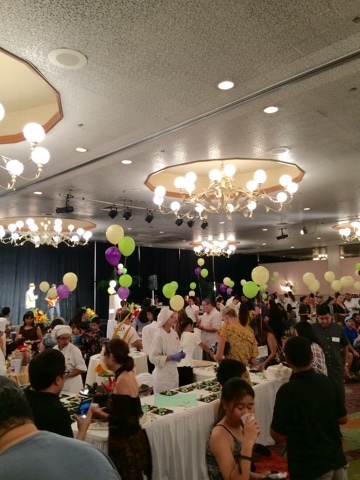 Hawaii Mom Blog: United Cerebral Palsy of Hawaii Presents Dessert Fantasy 2015! United Cerebral Palsy of Hawaii Presents Dessert Fantasy 2015! I had a ball at last year's Dessert Fantasy so I wasn't about to miss this year's event benefitting the United Cerebral Palsy of Hawaii. The annual event is in its 26th year and is held every first Sunday in November. Inside the Grand Ballroom of the Pacific Beach Hotel, there were nine tables filled to the brim with desserts for guests to enjoy during the two hour event. 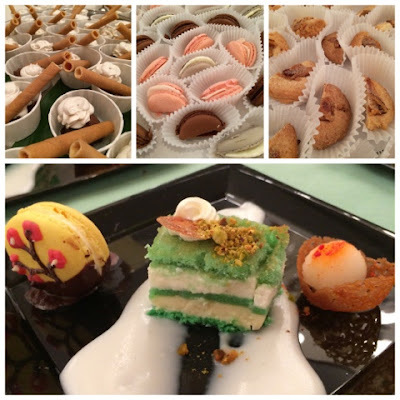 My daughter and I had the best time filling our plates and stuffing our faces with these delicious desserts. We even went back for seconds (possibly thirds) of our favorites. We learned from last year to take breaks between dessert rounds to rest our tummies. The Dessert Fantasy was emceed by Dave Lancaster and Sistah Sherry and entertainment was provided by Ani Pessin and Mike Wolf. Guests could vote for their favorite desserts and bid on silent auction items. Face painting and balloon animals were offered outside the ballroom for a nominal fee. What makes this event extra amazing is that all the desserts and prizes are donated and the event is run by volunteers! 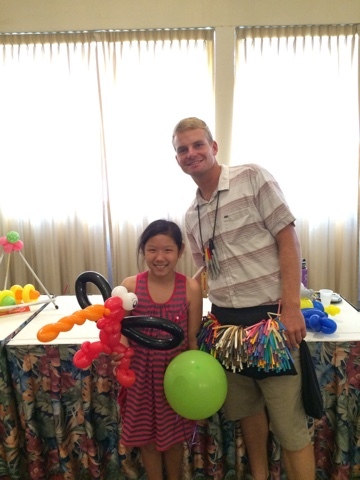 The UCPA of Hawaii is a non-profit, volunteer health orgranization and its focus is to postively affect the quality of life for children and adults with cerebral palsy or other severe disabilities with similar service needs. 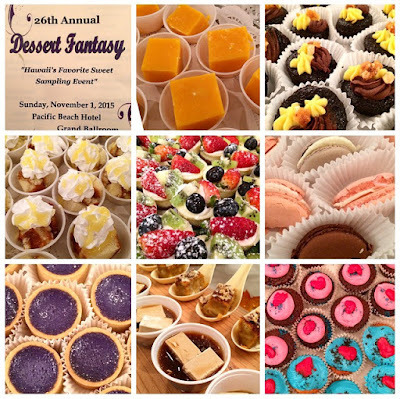 Mark your calendars and join us for next year's Dessert Fantasy! 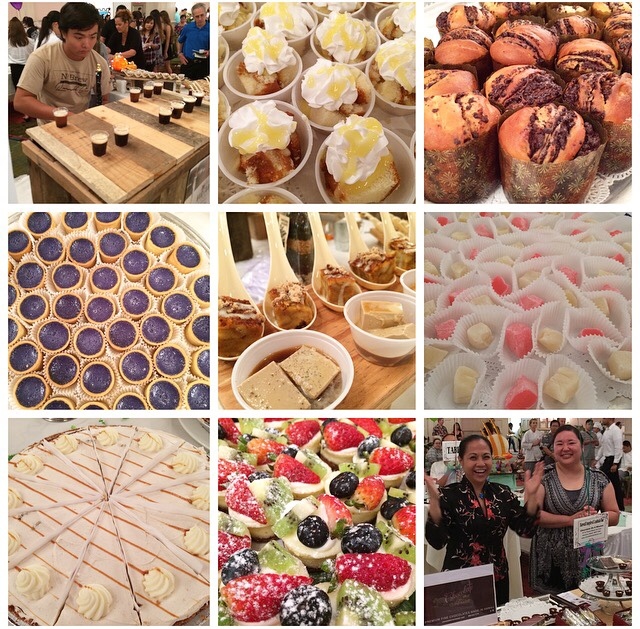 Some of this year's winners (l-r) Kakaako Kitchen, Cake Connection, Pearl City HS Culinary Arts Program, Uber Factory, Kakaako Kitchen, Nisshodo Candy Store, Dave and Buster's, Hilton Hawaiian Village, and Chocolate on a Mission. Too many desserts to list! From l-r, Haleiwa Joe's chocolate custard (my daughter's fave! ), Chocolate and Vanilla Bakery's macarons, The Pig & the Lady's bacon and brown sugar shortbread; and the Overall People's Choice award winning dessert by Gros Bonnet Culinary Academy/Hale Koa Hotel. 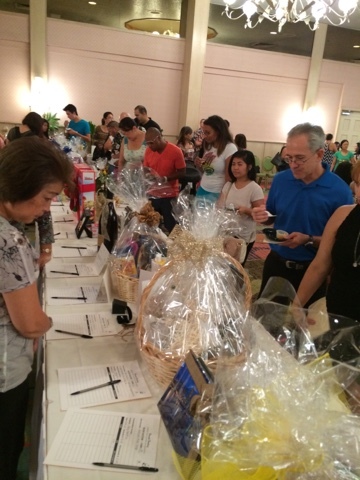 So many silent auctions items to bid on. Lauren loved her dragon balloon from Balloons by Austin. A special thank you to UCPA of Hawaii for the media pass for myself. All opinions are entirely my own.